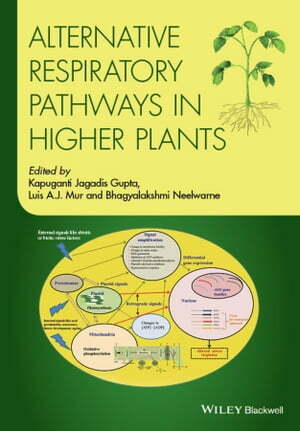 Collins Booksellers - Alternative Respiratory Pathways in Higher Plants by Luis A. J. Mur, Bhagyalakshmi Neelwarne & Kapuganti Jagadis Gupta, 9781118790441. Buy this book online. Rapid developments in molecular and systems biology techniques have allowed researchers to unravel many new mechanisms through which plant cells switch over to alternative respiratory pathways. This book is a unique compendium of how and why higher plants evolved alternative respiratory metabolism. It offers a comprehensive review of current research in the biochemistry, physiology, classification and regulation of plant alternative respiratory pathways, from alternative oxidase diversity to functional marker development. The resource provides a broad range of perspectives on the applications of plant respiratory physiology, and suggests brand new areas of research. postdoctoral researchers working on plant respiration, as well as to graduate and postgraduate students and university staff in Plant Science. It is a useful resource for corporate and private firms involved in developing functional markers for breeding programs and controlling respiration for the prevention of post-harvest losses in fruit, vegetables, cut flowers and tubers.